Its been just over a month since I installed my new antenna and what a difference it has made. I have the Cushcraft MA5B mounted on a home brew tripod with a short mast and HYGAIN CD45II rotator. The antenna set up is not as high in the sky as I would have hoped for, but nether the less it is working really well. 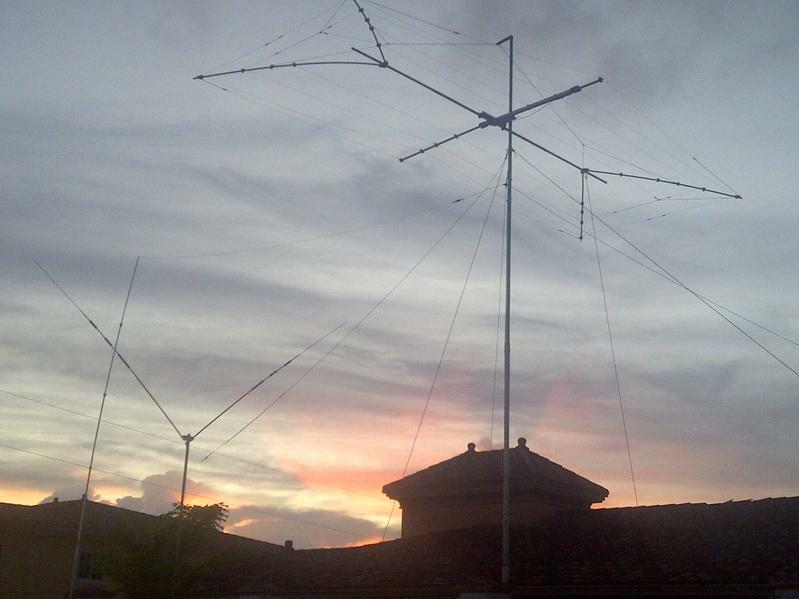 I have made lots of good QSOs across the Atlantic when the band has not been very good, I have noticed that the vertical and Carolina Windom are miles apart from the reception quality of the MA5B. I keep hearing big signals on the beam and when I switch to the other antennas I can barely copy the same signal. 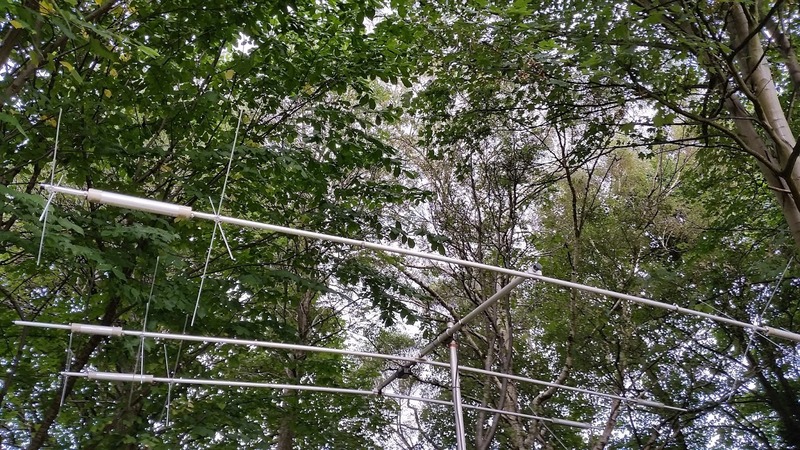 I suppose I should have expected this from my many previous experiments with beams and verticals on vhf where I have worked satellites on 5 watts with my arrow or IOIo antenna and struggled to achieve any contact with a vertical. With the new antenna working so well on bands that are not as good as they could be, I can't wait until the conditions are cooking! The new beam is what I have needed to fully utilize my equipment for a while and I am made up with the results so far. I have manged to tick off a few new countries of my worked all DXCC list which I started doing again when I advanced to my Class A licence back in January 2015. I am up to 90 so far and have a long way to go! Under my last call 2E0HTS I worked 122 DXCC over 10 years, so I guess 90 DXCC in 18 months is almost going for it h.i. My favorite recent new one was Sergio - HP1RN (Panama) who was a 5/9 solid copy both ways on the new Cushcraft and FT1000MP Mark V Field. HP1RN antenna array can be seen pictured below courtesy of QRZ.com. 73 Happy DX!